Viola Organics has been Organic Certified with BioGro NZ Ltd since 2003. We are very proud of this achievement and will continue to be organic certified in the future. What you may not know is that to be Certified Organic requires more than just ticking some boxes and buying Organic Certified ingredients. It also requires our suppliers to provide Non-GMO statements for all ingredients and additives. In our view this requirement is a ‘no brainer’, it can be a challenge to find non GMO ingredients but not impossible. Research surrounding the long-term effects of GMO both in our food chain and body care are not conclusively reporting that these are safe, therefore we are not interested in being part of any ‘experiment’ that big corporations rule over. It simply is a matter of avoiding GMO at all costs and limit the risks to our health, that of our families and the environmental impact. 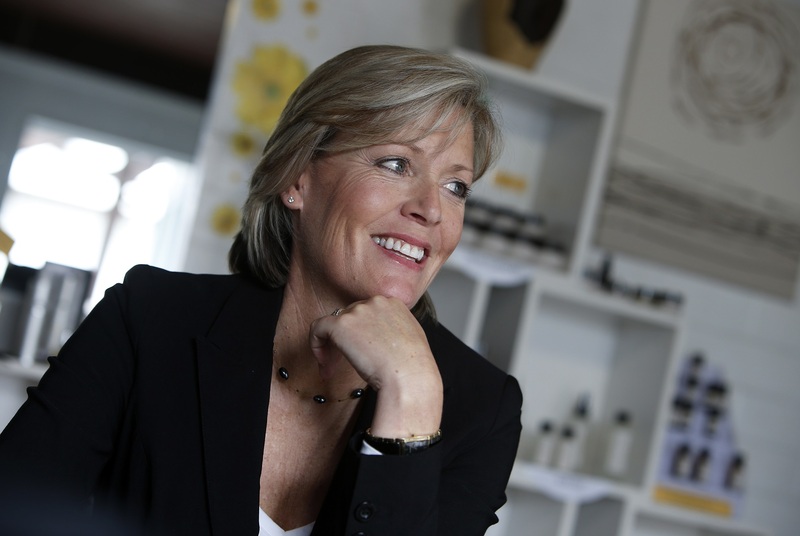 Attitudes toward natural and organic products have changed dramatically, says the owner of a skin care company celebrating 30 years in business this year. Viola Organics managing director Janine Matchitt says it is both encouraging and refreshing to be able to talk about organic and natural products without being on the receiving end of “odd” glances. This has not always been the case, she says. When the business first launched in 1986, as Pam’s Herbs by Janine’s mother Pamela, “it was perceived as even more odd, falling into the ‘cardigan wearing, garlic munching’ category of strange people just for trying to educate people about the dangers of conventional chemical laden products”. Since when did organic and natural become “alternative”, Janine asks. “Chemicals, medicines and additives should be viewed as ‘alternative’, after all we lived naturally and organically for hundreds of years at a time when medicine was viewed as ‘quackery’,” Janine said. Viola Organics is a home-based business with two staff producing certified organic skin care products to a mainly New Zealand market with a small percentage of international shoppers, many of them ex-pats. Janine says customers have adapted well over the years and online shopping is where the majority of sales come from now. There was a brief 4 ½ year “experiment” with expansion in 2008 but apart from that home is where the heart is for this business savvy woman who was looking for a new challenge in 2003 after selling another small, successful business. “Mum was looking to retire, so it became a natural step that I would take over Viola. There were many, many hours of training from mum. I had to make sure I could perfect the proven formulations of our products, and had to learn every step for every formulation before I was allowed the reins. Janine says the expansion “experiment” was a success but it also made it perfectly clear which way she did not want the company to go – “it was not expansion to the detriment of quality”. In 2012 the business downsized and moved back to Janine’s purpose built workshop and office in Parahaki. This has not resulted in the company’s products remaining for NZ consumption only. Janine found someone in Canada who is equally as passionate about the products and so a “franchise” with a difference was born. “The operator (Teri) is completely free to operate how she sees fit. I simply passed on the formulations, trained her via Skype and granted a License to Manufacture. This way others around the world can benefit from these wonderful products. The only rule was that she could not sell them [the formulations] to anyone else,” she said. Janine is not ruling out any more “franchise” arrangements. Janine says the biggest challenge they face as a SME (small, medium-sized enterprise) is consistency of supplies. Janine says she plans to celebrate Viola Organics’ 30th anniversary in October with its loyal customers in mind, planning a variety of ways to say “thanks for your support”. There will also be a factory shop sale, online specials, a surprise gift for orders through-out the month and perhaps even a wine and cheese evening at the factory shop. It is also water, mist, grease, anti-moth and insect proof*, freezer grade, and can be heat sealed(certain products apply). Proving to be the perfect material for Viola Organics Ltd new range of labels. Sometimes confused with synthetic paper, Rockstock is neither synthetic nor pulp or fibre based and is termed “Rich Mineral Paper”. Rockstock has qualities of both pulp and synthetic papers, but more importantly it is much more environmentaly friendly than either of the two. The printing qualities and exclusive feel make Rockstock a paper product not seen the likes of previously. It is manufactured from ground down waste stone and offcuts used in the building industry. It contains no wood fibre. It uses significantly less energy to produce than wood fibre paper. It requires no water, acid, base or bleach during production. Any trimmings or waste paper from production is recycled to make new paper. Janine Matchitt is clearly a minimalist. When you walk into her office/manufacturing laboratory, you know the bells and whistles are not what are important here. If anything, it is the exact opposite. The room is sterile and clean, and tucked away in one corner is a desktop computer and a simplistic system where orders are taken by phone, email or online, and added to a bulldog clip pile of the day’s deliveries to pack. Nothing here is over the top or added for embellishment. Janine speaks of her business Viola Organics the same way. Viola Organics is one of New Zealand’s few BioGro Certified organic skin care ranges. Recently, the company celebrated its first international franchise agreement, which sees the expansion of the Viola brand into Canada. But the decision to create a franchise agreement offshore did not come easy, Janine says. “When most businesses are working hard to grow their stockists, grow their ranges, add more to everything they do, I am very careful to ensure that expansion does not water down the work that we are doing here. I don’t want to grow rapidly and expand to a huge number of markets. For me, the franchise was about finding someone as passionate about the Viola formulations as we are, and not about mass-producing something of a sub-standard quality,” she says. And Janine should know – the company was formed in 1986 by her mother Pamela after a cancer diagnosis resulted in an organic, clean lifestyle becoming more than just a way of life, but a way to ensure she was doing everything she could to heal her body. Thankfully the cancer went away, but the business idea was well and truly formed. Janine still has the original catalogue her mother would produce each season for her loyal customers – hand-typed and stapled with a faded blue cover. At that stage the catalogue included organic herbs and spices too, as in the late 80s sourcing organic products in Whangarei and throughout the North Island was a little hard to come by. “I look at this catalogue that mum has created and the hours it must have taken her. 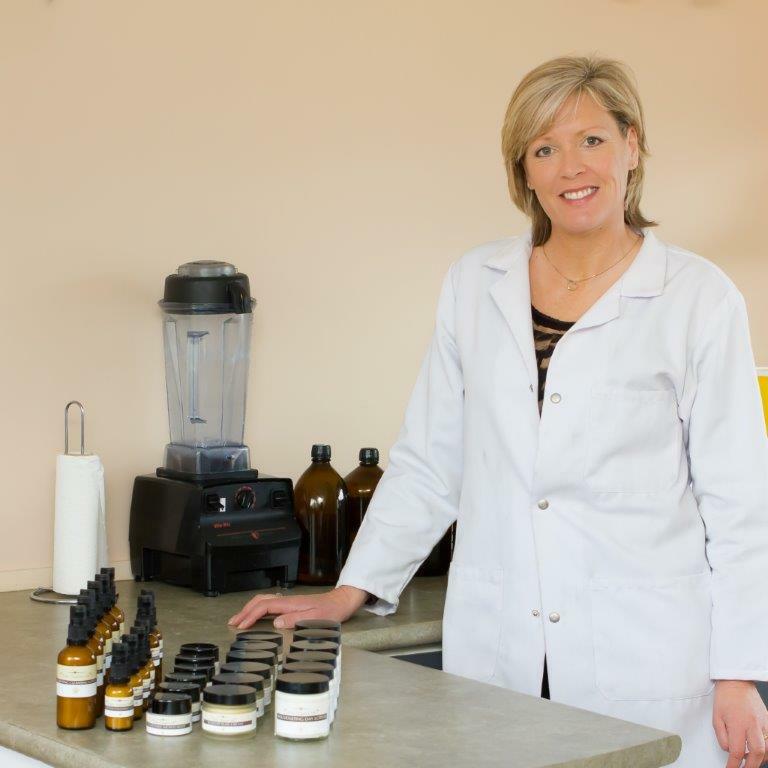 Each product she created would be made only in small batches to retain purity and quality. Then she would fill jars with it, and for a finishing touch, glue a dried viola flower to the top of the lid. It really was quite sweet,” Janine recalls. There were no online sales back then, so market [stalls] were the way to go. Popularity for the organic, natural products rose and soon the catalogue was being posted around the country for eager new customers. Fast forward to 2003, and Janine was looking for a new challenge after selling another small business she had built up to glory and sold at its prime. The BioGro certification process is stringent, with continuous audit processes part of the ongoing work with the organisation to ensure the company is worthy of using the title. Expansion has always been part of Janine’s plan since taking over the reins – however, not in the traditional format that many people might assume. Firstly, she swears her products will never be mass produced or sold through big name stockists, and she doesn’t like the idea of a factory or machines creating the products Viola has become known for. “It sounds old-fashioned or antiquated but I will not apologise for that. Having someone make the formulations to license doesn’t sit well with me. I can’t check everything before it goes out. “It is about maintaining my ethical stance, and that comes from how Viola was created and founded in the first place. It was through a need for something that was natural, pure, healthy for the inside rather than just being a large company trying to sell as much as possible.” The new Canada operation shares the same thoughts. The world is increasingly tuning into the idea that chemicals are not good for your body. As such, it is natural for you to seek ways to make sure the food you eat and the products you use come from organic sources. BioGro certification is a way of proving that products are organic, which in turn allows you to make intelligent choices about the products you use. Companies who use the BioGro label have to go through a rigorous testing process, and understanding more about it can help you determine whether the products associated with this label are right for you. All farmers have to control growth, pests and diseases in some way. Organic farmers use naturally occurring products to achieve this, such as manure for their crops. In contrast, non-organic farmers may use chemicals and medicines you do not want to consume every day, such as growth hormones for meat. Many of the effects organic fans worry about are both short and long-term. Overuse of antibiotics has led to resistant bacteria, and there is evidence to suggest that the long-term build-up of growth hormones and pesticides can disrupt your endocrine system; that means they play havoc with your hormones. Your skin is the largest organ on your body, which is why you need to take good care of it in the right way. What you put onto your skin matters, and although the skin acts as a barrier between you and the outside world, it can absorb small amounts of chemicals. There are no legal requirements when it comes to using an organic label on a beauty product. This is why relying on the BioGro organic certification process is the simplest way to make sure you are applying the right products to your skin. You cannot inspect the beauty products’ producers yourself, which is why BioGro do it for you. In recent years, the media has highlighted the link between non-organic beauty products and certain skin conditions. There is evidence to suggest that these products may exacerbate the symptoms associated with eczema, psoriasis, and similar conditions. Technically, any farmer could claim to grow organic food and you would not know whether their farming and beauty standards meet the minimum requirements. That is why regulatory bodies like BioGro exist: they inspect the farms and beauty product producers and make sure the practices stand up to the standards you expect as a consumer. Children use beauty and healthcare products to maintain hygiene. As paediatric skin is still developing, it is important to minimise the risk of it coming into contact with chemicals that may harm it. If a product you purchase features the BioGro Organic logo, you know it is one of the safest products available for your child to use. Naturally, you invest in your beauty because you want to see great end results. You should therefore be pleased to learn that organic beauty works as well as any other form of beauty. This means BioGro certification allows you to enjoy the best physical and aesthetic results. Traditionally new businesses were set up primarily to provide their owners with a profit. Making money was the key motivator and other, more meaningful, altruistic considerations seldom figured. But today increasing numbers of women are going into business for much more wholesome reasons than merely making a buck. These are the so-called green goddesses: women with great ambitions to save the planet, keep us healthy and make us feel good – preferably all at the same time. writes Shelly Bridgeman of NZ Herald.